Matzo meal is made from ground matzo bread. Matzo meal (also spelled matzah meal and matzoh meal) is a food product that is made by grinding matzo bread, a traditional Jewish food. There are a wide range of uses for it in Jewish cuisine, and as a result, it is usually in stock at stores which carry Jewish foods. Commercial meal often comes in several grades, from coarse to fine. It is also possible to make your own, either from matzo you bake yourself or purchased at the store. The bread that forms the base for matzo meal is actually more like a form of cracker than a recognizable bread. It is made by mixing flour and water to form a stiff dough, rolling the dough out, cutting it into shape, and then baking it at high temperatures. Depending on how it is prepared, matzo can be soft, more like a tortilla or wrap, or it can turn into a hard cracker. 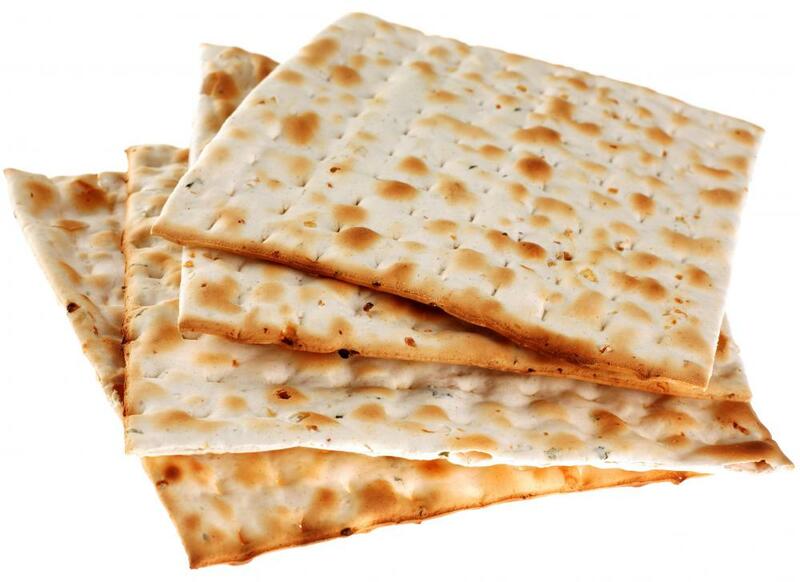 The cracker is the variety of matzo bread used to make the meal. The process for making matzo meal is quite simple; matzo crackers are ground into particles that can be made larger for a more coarse version, or smaller for fine, even meal. Cooks can accomplish this at home with some matzo and a rolling pin; commercial manufactures use crushing rollers or blenders to make their products. Basically, this is a type of breadcrumbs or cracker meal; Jewish cuisine often calls for matzo meal because it is presumed to be kosher, since matzo is a Jewish food. One of the most famous uses for this meal is in matzo balls, dumplings made from meal, eggs, and oil that are cooked in boiling broth or water. Matzo meal is also an excellent binder, just like breadcrumbs. It is added to casseroles like noodle kugel, along with foods such as latkes, also known as potato pancakes. It can be used in any recipe that calls for breadcrumbs; it has a very clear, plain flavor which will not clash with other ingredients. In Jewish cuisine, certain dietary restrictions are observed at certain times of the year. During Passover, for example, a number of foods are forbidden. If you are cooking food for Jewish guests during Passover, ask them about the specific culinary traditions of their branch of Judaism, and if you use ingredients like matzo meal, you may want to confirm that they are safe to use for Passover. While all types of matzo are presumed kosher, not all are safe for Passover, since some have ingredients that are restricted during this important holiday. How Do I Choose the Best Matzo Meal? @tdwb7476: Never thought about it that way, and any supermarket that sells matzo sells it year round. I am not Jewish, but I think matzo ball soup is one of the best inventions ever! Truly delicious. For the potato latkes, you can just use a few spoonfuls of flour to bind the latkes, if you are frying them the rest of the year. If you want to keep passover, you can use potato starch to bind them. I was looking for a substitute also, found this on the web: The best substitute for matzo meal is cracker crumbs. Crush any plain crackers into crumbs. If you don't have cracker crumbs, or crackers to crush into crumbs, substitute fine (small) breadcrumbs. Is there a substitute for Matzo. I live in a village near the east coast in North Yorkshire, and items like this are very hard to come by. I would like to make potato latkes, which call for matzo meal, therefore I am looking for a substitute. Hope someone can help. Thank you. anon52503 - If the matzo bread is made with gluten free flour then it is, but not if it is made with wheat flour. Is matzo meal gluten free? Matzo meal, even the kind that is kosher for Passover, is a ton cheaper if you _don't_ buy it around Passover. I recommend thinking ahead to save some cash.